Photo courtesy of Tarleton Athletic Communications. Tarleton State University head football coach, Todd Whitten joined Tarleton coaching royalty after capturing his 60career win after the Texans defeated the Angelo State Rams in week four. 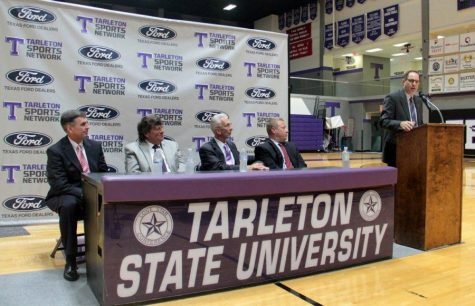 William Jones Wisdom is the only other coach in Tarleton history to accomplish such a task. Whitten is honored with this accomplishment, but credits most of his success to the people surrounding him. Wisdom took the athletic department by storm in the fall of 1921 leading the football, baseball and men’s basketball teams to incredible success for years to come, all while setting records along the way. 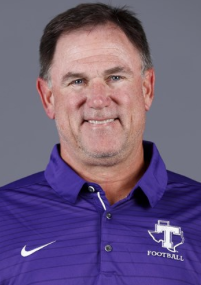 According to Tarleton Athletics, in his first six seasons, Wisdom led Tarleton to three consecutive titles in football, five state championships in basketball and a 1926 state championship in baseball. Coach Wisdom still holds the record for the most total wins in school history at 71, a number coach Whitten is quickly closing in on. Wisdom is also credited with the naming of the first mascot of Tarleton “The Plowboys.” Although he passed in June of 1981, the legacy of Wisdom lives on in Stephenville still to this day as the gym was named after him in 1972. Whitten began his era at Tarleton in 1996 where he coached for one season and in that short amount of time turned the team around and earned the Lone Star Conference Coach of the Year award. Whitten left Tarleton for three years following that season and served as the offensive coordinator for University of Wyoming and Sam Houston State University. Coach Whitten returned to Tarleton in 2000 and stayed until 2004. In that time period, Whitten was awarded coach of the year awards in 2001, 2002 and 2003; he also led Tarleton to their first national playoffs in 2001. In 2004, Whitten once again left Tarleton in his review mirror as he returned to Sam Houston to serve his first Division I head coach position. 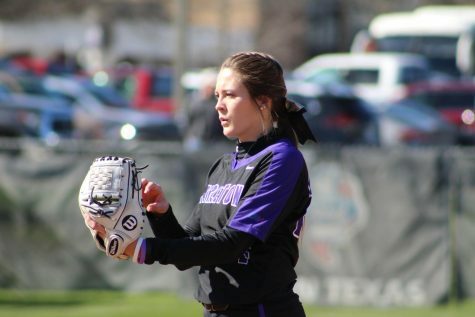 After five seasons there, Whitten moved around and spent two seasons at Lamar, one year at Arlington Heights High School and three years at University of Texas at El Paso before once again returning to Stephenville in December of 2015. Whitten also joins Wisdom in being the only two head coaches in Tarleton history with three different reigns as head coach. After his return, Whitten immediately turned the team around by leading the Texans into the two final season games with a chance at winning the Lone Star Conference. In 2017, the following year, Whitten ushered the team to its first winning regular season since 2013. 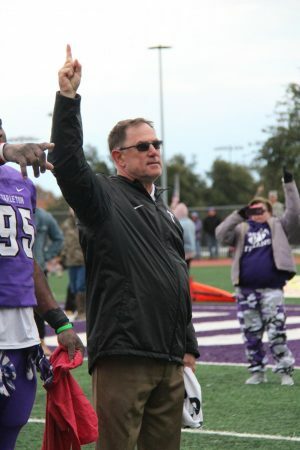 The Tarleton football train has not stopped rolling since as Whitten is now one of the most winningest coaches in history and feels that this year’s team could be one of the most successful ones yet. “We have the kids, we have the ingredients here, we just have to continue to put them together, it is really a process throughout the season,” Whitten said. The Texans have been off to an explosive start this season and much of that is credited to the energy of the team and the leadership of the seniors. When looking at the team, Whitten is impressed with the commitment the players have made to getting bigger, better and stronger, all summer long. “This is a football team that enjoys the process and is working really hard,” Whitten stated. Leadership is something Whitten has stressed is needed in order to continue the success of the team along with the ability to keep making plays on the offensive and defense sides of the ball. In order to improve, Whitten feels that the Texans need to work at keeping penalties to a minimum. In 2001 Whitten led the Texan’s to No. 6 in the rankings. In comparison to this year’s team he feels the two are similar. “From a personnel standpoint they are very similar, that was another one of those teams that was very consistent and got better and better throughout the season,” Whitten explained. 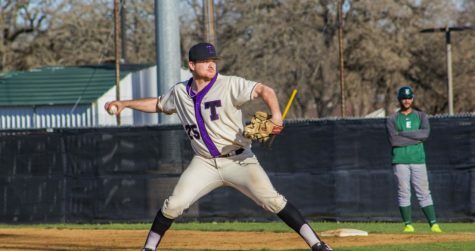 Before his successful coaching career, Whitten was a standout player at Dallas Kimball High School and Stephen F. Austin University as a three-year starting quarterback as well as a three-year starter in the outfield throughout baseball season. Whitten was even drafted in the 17round of the 1983 Major League Baseball Draft by Philadelphia right out of high school, but declined in order to attend college. After his career at Stephen F. Austin University, Whitten signed as a free agent to play quarterback for the New England Patriots in 1987. Whitten’s coaching career started the year after as he was a graduate assistant coach at Texas Tech University. As the Texans continue through the season, Whitten has high hopes that the team will be as good as it is capable of and reach its peak, whatever that might be. 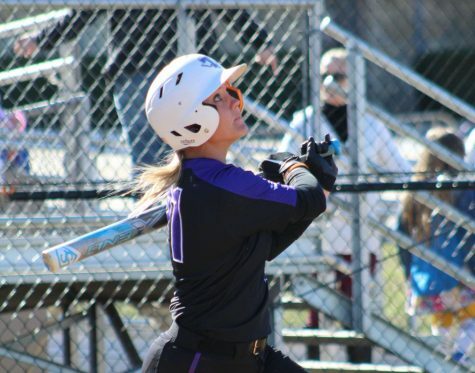 “As a coach, you never want your team to underachieve we just want to keep getting better each week and throughout the season and when we look back at the end of it we have no regrets, that we accomplished all we were capable of,” Whitten said.